Can I Choose Myself when Using the Raikov Effect? When Is the Best Time to Use the Raikov Effect? Vladimir Raikov had what could only be considered a radical idea in the 1960s: to use hypnotism via deep trance identification so that personal abilities could be improved. His technique was straightforward and simple. Step #1: Imagine yourself as another person. ​Raikov would encourage his students to believe they were someone else. A musician, for example, would believe that they were Beethoven. Step #2: The traits and skills are inserted. ​Raikov would then use verbal commands to regress his students to childhood memories. Once there, he would encourage them to “swap minds” with the person they admired. Musicians would incorporate memories from childhood of wanting to be like Beethoven. Step #3: Put it into practice. ​After several sessions, Raikov would then encourage his students to perform with their instruments. To prove his technique was successful and unique, Raikov created 3 different student groups. One was a control group of musicians that were not hypnotized at all. The second group received positive affirmations during hypnotism sessions with Raikov. Then the third group received the command-structure instructions from Raikov. The third group of students were the only group that received his core deep trance identification technique. The students in the third group scored the highest in both artistry and technical proficiency with their instruments compared to the other two groups. Except that was over 50 years ago. That is why the Raikov Effect is such an exciting new self-help program. It incorporates the techniques that were used so long ago, but in a manner which allows each person to control their own destiny. Being skeptical of such a program is only natural. That is why this review of the new Raikov Effect technique investigates the actual concepts, implementation, and outcomes that are possible. After all, every person has certain traits that can be disappointing, annoying, or frustrating. If you “swap minds” with someone, are you not taking on the bad with the good? That question was answered right away by this program. The goal isn’t to take on every aspect of the person you admire. You just focus on the specific skills or mindset that makes that person great. You could focus on hitting a baseball like Babe Ruth. You could focus on throwing a football like Joe Montana. You could even focus on being better with business decisions and innovation like Steve Jobs. You focus on what you want. You ignore the facets of that person that you don’t like. That, in theory, provides the foundation of skill-building within the mind. The program says that it takes about 10 minutes to go through a five-step sequence. Repetitive sequences can reinforce the specific skills or mindset that is desired. You’re asked to picture the person that you admire. For the purpose of this review, I pictured Steve Jobs. I’ve always admired his tenacity, focus, and approachability. This program encourages you to imagine a clear and detailed picture of the person you admire. I decided to pull out a photograph of Steve Jobs in his younger days. You know the one – where he’s posing next to one of his first computers. #2. Swap heads with the other person. Then you’re asked to switch places with the person you admire. Imagine yourself doing what that person does. You behave like they behave. I found myself thinking like this: if I have a problem that needs to be solved, how would Steve Jobs approach the situation? I pictured my consciousness going into that picture of Steve Jobs. To be fair, I felt a little silly staring at this picture, willing my consciousness into it. #3. Act as if you are the other person. Then I imagined myself implementing a solution that I thought Steve Jobs would think was a good option. I imagined myself sitting at a desk in a mostly clean garage, building a computer. I thought about how we would solve problems. I could even hear his voice in my head, telling me what my options would be. It was a strange sensation. I felt an upwelling of emotion within my chest. #4. Create a physical anchor. In the new Raikov Effect, you’re on your own. There isn’t a hypnotist or therapist in the room with you to provide the mind with an anchor to reality. That is why it is necessary to create one for yourself. The program suggests creating such an anchor by pressing a thumb and finger together. The goal is to create a memory trigger so that you can come back to the moment where you imagined yourself in the shoes of someone else. I used the trigger that was suggested, but any anchor mechanism would work. It should be an action or activity that is familiar and routine. Something you do every day, like tapping your foot, pulling on your ear, or rubbing your nose. First, you’re asked to imagine yourself taking action. In the final step, you’re required to take action. Bring the visualized characteristics of the person you admire into the real world. Go be confident. Go be innovative. Whatever it was that you wanted in your life, now is the time to make that happen. What I have really come to appreciate with the Raikov Effect program by Inspire3 is that it can be done anywhere at any time. If you have the steps above memorized, you can complete the process in your head. If you’re reading this right now, you can even try a basic form of this program at the moment. See if following the 5 steps works for you. I like that I can go through these steps during my time of meditation each day. It is a new way to keep my mind focused on a single task and I’ve found that it provides new paths toward clarity. I feel energized, awake, and ready to take on any challenge when I’ve gone through these 5 steps in my head. There are two additional program options available that I’ve found to be useful in their own way. The first is to create a self-guided audio track using the scripts included with the program. You just insert the trait or skill that you want, along with the name of the person you admire, and then create a recording with it. Then you complete the program just like you would if you were imagining the steps in your head. The audio track allows you to follow along, guided in the process of “swapping heads,” even though it is your own voice. I use the script to pursue a different series of traits. I haven’t always been so confident with business and investing decisions, so I use the recorded script option to picture myself in the shoes of Warren Buffet or Richard Branson – depending on how adventurous I might want to be. Then other program option is a listen-along audio that is provided with the Raikov Effect program. They are 10-minute audio tracks that cover some powerful, albeit somewhat generic, areas of life that many people would like to improve. My recommendation would be this: if you are unfamiliar with meditation, deep trance identification, or hypnotism, then start with the program audio. Then move to a script you’ve recorded for yourself and begin pursuing the five steps in your mind as you feel comfortable doing so. Dr. Raikov had his students picture someone they admired from history. I chose Steve Jobs, Warren Buffet, and Richard Branson. What makes the Raikov Effect so unique is that you can also choose yourself. You can literally “swap minds” with a better version of yourself using this technique. If you want to be a great salesperson, then imagine yourself as the best salesperson in the world. Then picture yourself walking in those shoes. Think about the person you would be in that situation. Then implement the skills and traits you see yourself completing with your idealized vision. I tried this concept without much success the first time. Maybe I didn’t feel confident in my abilities to achieve the success I was envisioning “future me” having. As I dug into the program notes, I found this one interesting tidbit of advice. That advice helped the process some, but I still felt the results were more powerful for me when I “swapped heads” with another person I admired. In the future, maybe I’ll see better results with this technique. The new Raikov Effect program by Inspire3 suggests that this technique can be used by anyone, at any time, and almost anywhere. There are four suggested times offered by the program. Right before going to sleep at night. The first few mornings were surprisingly difficult to get through. Part of it was due to the fact that I was making a change in my routine. It also took a few days before I really began feeling like I was experiencing results. In that first week, I almost gave up using this program for good. It just seemed like it wasn’t working. Then I began noticing some subtle changes. I felt more confident at times when a tough decision needed to be made. I found myself second-guessing purchases that I’d normally make on impulse. I discovered that when I kept up with the five steps of this technique on a daily basis, the changes I could sense and see were progressive. Lunch break and early evening sessions, I have found, help me to decompress from a tough day. If I use the Raikov Effect at these times, I tend to use the follow-along audio so I’m not distracted with the stress or worries from earlier in the day. At night, the program suggests “swapping heads” with someone like Paul McKenna or Sigmund Freud to get better sleep. This may work for some, but I found myself struggling more to get to sleep when using this technique right before bed. I really appreciate the structure of the Raikov Effect as a program. It uses the concepts of deep trance identification, but you’re not really in a trance-like state. You remain “you,” but you are also actively pursuing specific traits, skills, and abilities that you admire in others. 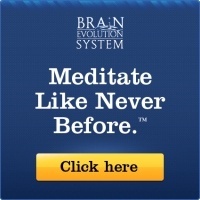 I love that this program features visualization, positive affirmations, and neuro-linguistic programming. These components get you to begin thinking, feeling, and acting like the person you admire – even if that person is an idealized version of yourself. Just like Dr. Raikov was over 50 years ago with his students, this program is straightforward and simple. I can go through the 5 steps in my head in about 5 minutes if I need to take a break from the day. It has enhanced my meditation time and I feel more creative and confident. Visualization is a good first step, but it cannot be the only step. When you can experience yourself being more confident, then it becomes easier to be confident in the future. There is an element of willpower that must be included with the Raikov Effect. If you have an underlying desire to remain who you are, then change will be difficult to achieve. This program must be approached with an open mind. A time commitment is also involved. 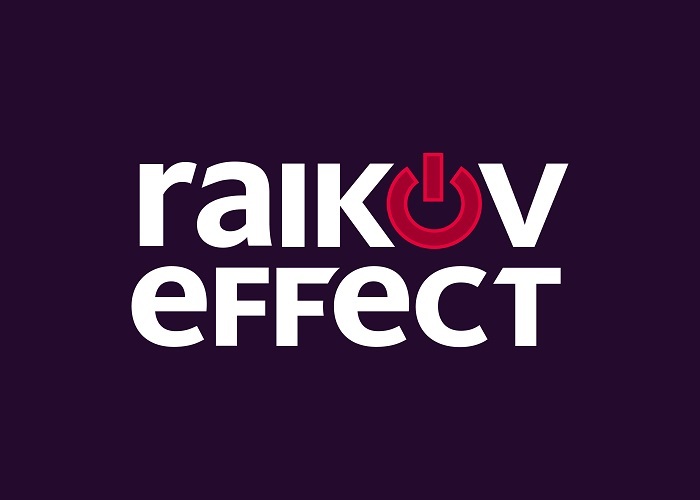 ​​If you would like to create your own journey by exploring how the New Raikov Effect could change your perspective, more information about this exciting program can be found at the program’s home page. ​Anonymous. “What is Deep Trance Identification?” Deep Trance Identification. ​Harris, Tom. “How Hypnosis Works: What Lies Beneath.” How Stuff Works. ​St. John, Barrie. “Meditation vs. Self-Hypnosis.” Self Hypnosis. ​Anonymous. “How to Use Self-Hypnosis to Achieve Your Goals.” Michael Cohen’s Therapy Service. ​Henderson, Charles E. Ph.D. “9 Rules of Self-Hypnosis Practice.” Alfadore Press. June 27, 2016.